Critical Illness insurance can be provided as a separate policy; however, many people prefer to have this benefit as an add-on to their life insurance plan. In turn the plan will offer a broader spectrum of coverage than life or critical illness insurance can provide as standalone products. This additional benefit will ensure that you are protected should you be diagnosed with a critical illness covered by your policy. You will be paid a lump cash sum following a 30 day waiting period. Some companies provide a 10% advance of the balance before the waiting period. The types and number of conditions covered vary from insurer to insurer, however; typically cancer, heart attack and stroke are among the covered illnesses. Gain peace of mind knowing your family is protected. Term to 100 is a form of a permanent policy that may or may not have cash surrender value. This will depend on which provider you go with. Rates on a term to 100 policy will stay the same for as long as you make payments, or until you reach age 100. Once you reach 100 years of age, premium payments will no longer be required. The death benefit will still continue; in addition, for policies with cash surrender value you will be able to withdraw the total payout. In this case the income that comes from the withdrawal will be taxable, as opposed to death benefit which is paid out tax free. How much coverage you require will depend on several factors such as your lifestyle, age, number of dependents, income and assets. Whole Life Insurance is a form of permanent insurance that provides coverage for a lifetime, rather than a specified term. Depending on your plan the cost of the coverage is spread out over the lifetime of the policy or over a limited time period such 10, 15 or 20 years. Participating Whole Life Insurance policies earn dividends from the insurance company. This type of policy is usually more expensive than Non-Participating Whole Life Insurance. Guaranteed cash value – unlike Term Life Insurance, some of the money you pay in premiums accumulates as guaranteed cash value. If you surrender the policy, this cash value would be available to you. In addition with some policies you are able to borrow against the cash value, but any amount that you haven’t repaid when you pass away reduces the death benefit. Permanent insurance is exactly what it means, it’s permanent. It is a life insurance contract that is in place for the length of your life and upon your death your beneficiary receives the tax-free payment. Owning a permanent policy is similar to owning your home. Over time, your policy will build equity within the insurance contract known as the ‘cash value’. The cash value can be accessed upon cancellation after a designated time period. It is best suited for people who are willing to pay a higher initial premium for greater long term savings and guarantees. Universal life insurance provides permanent life insurance protection with a tax-sheltered investment component. As cash values accumulate, they can be used to pay part or all of the cost of your insurance. Universal Life is the most complicated form of life insurance as there are many options to choose from in regard to all aspects of the contract (cost of insurance, premium amount, investment options, death benefit, etc). It is best to speak to an advisor to properly understand how UL policies work. Whether you’ve been denied life insurance in past due to your age, health, or any other factor; or you’re concerned you may be denied life insurance should you seek it, you can still be covered under a variety of policies. No Medical life insurance may be the perfect solution for you. No Medical life insurance allows you to obtain coverage with no medical exam, insurance that can cover you through a specific term or for a lifetime. Why Consider No Medical Exam Life Insurance? You have been turned down for life insurance in the past. You are overweight or suffering from health complications due to weight. With No Medical life insurance, all you need is to answer a few simple health questions to start your application. With no exam, life insurance can be accessible and functional. Most life insurance policies come with mandatory health exams. Doing well on the exam gets big discounts, but doing poorly can raise your premium. The different life insurance coverage offers many coverage advantages that your lender does not. Having the freedom to choose the plan you need, and ensuring your loved ones get the full benefit of your plan, gives our term life insurance solutions an edge over mortgage insurance plans offered by your lender. Joint life insurance also known as first to die insurance, charges a lower premium than two individual policies of the same amount. At death the policy pays out the insured amount. At that point the policy terminates. In some cases the surviving member has the option to purchase a policy at attained age for a maximum amount of the original policy. This type of insurance can be difficult to separate at time of divorce. Conversion options may also become limited. In a rare event such as a car accident, where both parties were to pass away only one policy would pay out. If you are Canadian over 50 searching for a life insurance plan, today’s market offers a range of options. Individuals in good health can apply for traditional life insurance, while those with health issues can opt for Guaranteed and Simplified Issue plans that don’t require a medical exam. Getting over a critical illness can be one of the most challenging time for you and your family. Financial obligations such as remaining financially stable, supporting your family and unexpected medical bills can add stress when you need to concentrate on recovery. Coverage may depend on degree of severity of the condition. For instance a diagnosis of cancer that can be treated and is expected to be recovered from quickly can make it ineligible to be claimed. In addition a Critical Illness policy cannot be obtained for a pre-existing condition. 5 Source: Tracking Heart Disease and Stroke in Canada. Released June 2009. Long term care insurance provides individuals with a tax free benefit in the event that they would require assistance with 2 of the 6 activities of daily living. Activities of Daily Living include toileting, transferring, bathing, eating, dressing, maintaining continence. Depending on the plan purchased, the proceeds received from a long term care policy can pay for care in a nursing home or facility, or to pay for home care within the client’s residence. 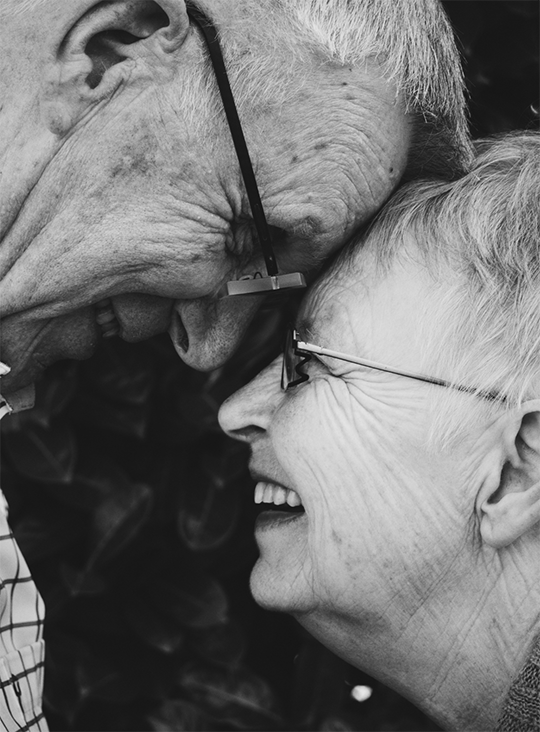 Long Term Care insurance plans can help prevent individuals from depleting their retirement savings or selling their home or other assets under duress due to unplanned medical care expenses. If the insured is suffering from a cognitive impairment endangering his health or safety (for example, Alzheimer’s disease and other types of permanent senile dementia). Individuals can use the Independent Living benefits as their wish and don’t have to submit any receipts. With Independent Living, you can choose where to receive the care required.You can have full range of assistance services for expert advices. As soon as the contract takes effect, the individual can get all the health, legal and daily living information they need.Health professionals can also visit the client at his/her home to evaluate his needs and organize the health care services required. Accidents and illnesses can happen at any time, in fact 1 in 3 people, on average, will be disabled for 90 days or longer at least once before age 65. In addition, a disability that can affect your for more than 90 days can statistically last over 2.9 years. Protecting your earning potential is as important as insuring your car or home. Disability insurance is designed to provide a source of income if you are unable to work due to a disability and offers guaranteed coverage and guaranteed premiums. Funeral and burial costs in Canada can easily add up to thousands of dollars. At this challenging time for your family a Funeral insurance benefit can provide security and alleviate financial burden from your loved ones. Accidents can happen at any time, Accidental Death Insurance provides an easy and affordable way to protect your family. Accidental Death Insurance will provide a benefit to your loved ones should you pass away due to injuries ensued in an accident. Types of accidents that will be covered are detailed in your policy. The benefit can be used to help pay for funeral and final expenses or pay off debts. Supplemental life insurance provides a financial benefit to your beneficiaries in the event of your death. This type of insurance offers additional coverage to your basic policies. Moreover, it can supplement the plans offered by your employer that can be insufficient as well as unreliable in case of loss of employment. With healthcare insurance, you’re reimbursed for healthcare expenses that aren’t covered under government plans (dental care, vision care, etc.). Travel insurance products meet your specific travel concerns, and the offer is for both single trip and multi trip travel insurance, as well as trip interruption and travel accident coverage.